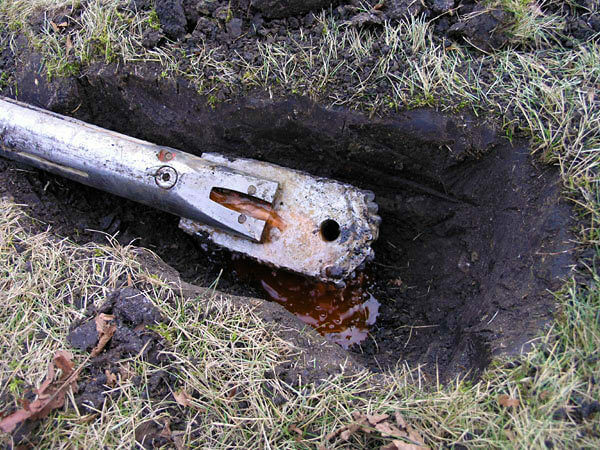 Directional Drilling is often used for the installation of all services beneath existing landscaped properties to ensure as little damage to the surface as possible. For Lavenders Contracting, this means we are able to install sewer lines in a trenchless manner. WHEN DO YOU NEED DIRECTIONAL DRILLING? Directional drilling is especially useful in situations where the problem is difficult to locate or you have a pristinely landscaped lawn. For example, a recent client of ours lived in a house that was about 40 years old. Her water pipes burst and were leaking somewhere beneath the house. This is particularly problematic situation because finding the source of the leak could mean tearing up the whole finished basement, and replacement of same could cost up to $20,000. 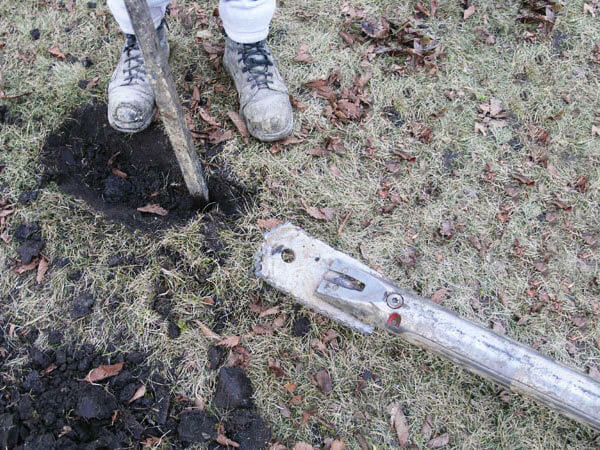 What we did for her, and generally do many times a year for homeowners, is dig a single hole directly under the water meter which is usually found in an unfinished utility room, and drop the hole about 2 feet below the existing plumbing. With the hole as a final destination target for our Directional Drilling, we send the driller in from the opposite side of the house and drill to the city water connection at the property line. For our example project, we installed the new water line from the city connection to her meter in the house. Not only did we provide a lifetime-warranted solution that was 100 times better than her existing pipes, we did it in less than a day, at a cost of less than $5,000. 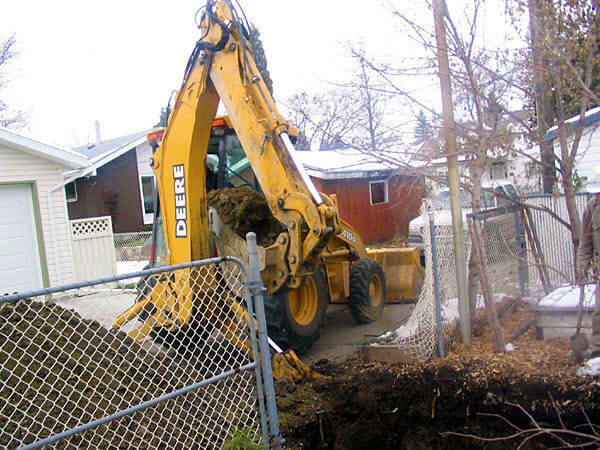 In the event you need a utility replaced or installed – a sewer line replacement, for instance – call Lavenders Contracting Ltd. and we can dig a trenchless hole for that purpose, leaving surrounding areas undisturbed. 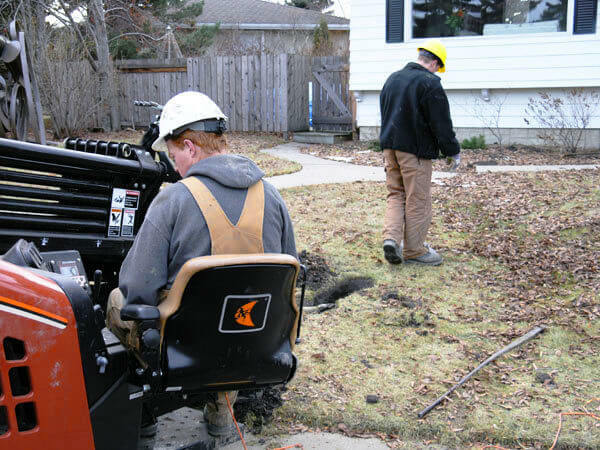 Whether the utility involves water, power, telecom, gas or sewer, put our equipment to work for you for a hassle-free experience; we’ll never contract out the project. As always, we offer free estimates. In summary, Directional Drilling is a cost-effective means to install new water and sewage solutions instead of ripping out your entire floor. It avoids the mess, cost, and repair of replacing your floor coverings as well. Contact our office today to schedule a free trenchless directional drilling estimate at your Edmonton area home.